Sylvia Williams, left, and Brent Welder are two of the six Democratic contenders in Kansas' August primary election. The winner will go on to challenge Republican Kevin Yoder for representation of Kansas' 3rd District in November's general election. Segment 2, beginning at 30:06: The host of NPR's only sports program retires. Whether you're a die-hard sports fan or you like coverage different from most talk radio, chances are you've heard Bill Littlefield's voice. 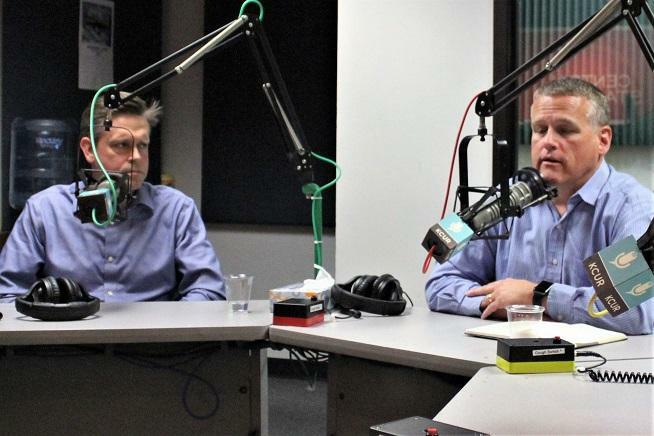 For 25 years the host of WBUR's 'Only A Game' has provided keen insight on some of the most important and overlooked sports stories across the nation. Today, he joined us in conversation for a look back on his career. Seg. 1: Democrats Prep For Primary in Kansas' 3rd District. Seg. 2: The Finances Of Switching Jobs. Segment 1: A former White House fellow and a small business owner are just two of the Democrats looking to take on Kevin Yoder in November. When it comes to U.S. Rep. Kevin Yoder's job, lots of people want it. 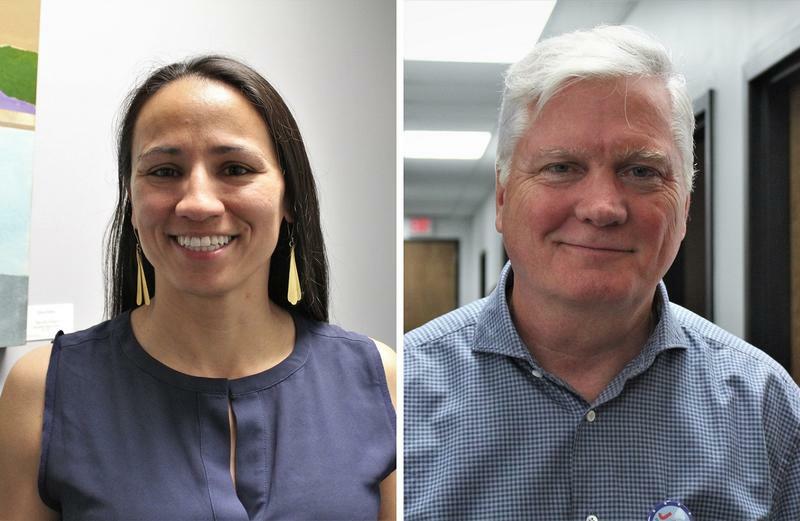 In the second of three segments featuring the Democratic challengers vying for the opportunity to take Yoder on in November, we met Sharice Davids and Jay Sidie. We talked to them about their stances on immigration, gun reform and how President Trump's trade policy is impacting Kansas farmers. Alfonzo King presided over Kansas City’s public golf courses in the 1960s and 1970s. That was especially true at Swope Park, where he’d regularly play 18 holes with barbeque icon Ollie Gates and civic leader Bruce Watkins. 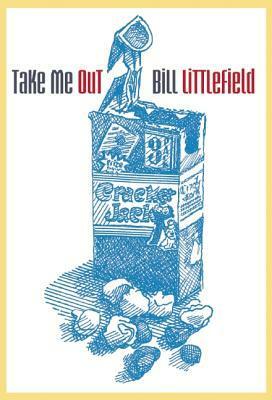 Littlefield has written several books on sports and two novels so his latest work, Take Me Out, a book of sports-related poems, is a bit of a departure. Bill talks with Steve Kraske about what inspired him to poetry, the history behind Only a Game, and his thoughts on this year's World Series.